Let me begin by wishing everyone a Happy New Year! I hope 2019 is off to a great start and that you had a wonderful holiday season. My wife came down with the flu right after Christmas, and just when she was getting over it, I was hit! There I was sitting under layers of blankets, sipping Gatorade, eating crackers, and binge-watching new movies and tv show series we had received for Christmas. I was weak. I didn’t want to eat. I was cold. And at the last-minute, I even had to miss our youth ministry’s trip to Winterfest – which I was supposed to lead. Fortunately, I have a great group of parents and volunteers at our church who made the trip happen despite my absence. They were off laughing, playing, listening to music, hearing the Gospel preached, and I was at home out of commission. Welcome to 2019! When I think about my 2018 to 2019 transition, I cannot help but think “I hope this is not a foreshadowing of things to come this year…” However, now I’m thinking it was the perfect way to begin the year. I was forced to slow down. I was forced to admit my weakness. I was forced to remember that I am human and am not a machine that can go a million miles an hour all day every day. It was a unique time to ask for help, to spend time with my wife, and to relax. Being sick forces us to rely on someone else for help. Typically, we love to move through life “taking care of ourselves.” That mentality carries over into our relationship with God. We move through life and essentially tell God that we have it under control and that we do not need His help. Then something happens that cripples us or slows us down or forces us to acknowledge our need for help and then we call out to God. We remember that we need Him. 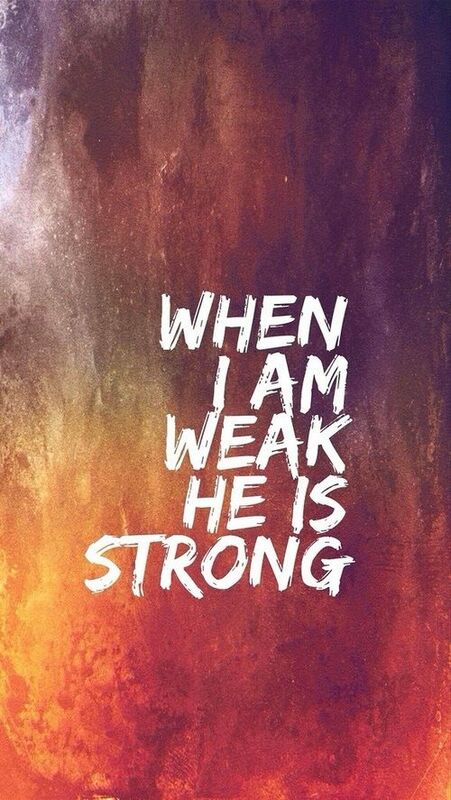 His strength. His guidance. His power. His love. His forgiveness. His grace. His wisdom. In our weaknesses, His strengths shine! Yes. Indeed she would have.